Offered only on selected dates, these adult camps take place at various locations from fall through spring and then move to the scenic campus of the University of California at Santa Barbara during the summer. Housing at UCSB is available in the newly renovated Tropicana Gardens residential suites, which consist of two or three bedrooms and a bath in a building with a recreation room and a swimming pool. 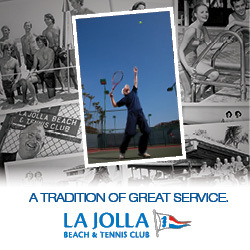 They are within walking distance of the 26 hard courts, the gymnasium, and the fitness center. The camp runs 6 hours/day. 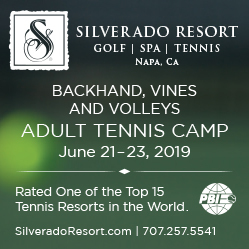 The camp is run by the four members of the Brady family, all of whom played college tennis—and in the case of Kip held a national professional ranking. Rates include instruction, lodging, and breakfast daily at their Santa Barbara location. See their web site for other dates and locations.